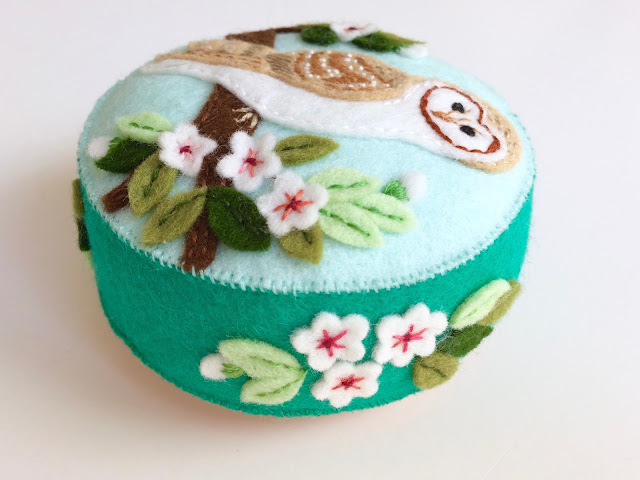 One of my very first pincushions had an owl on it and I haven't made any other owl ones since but recently I decided to work on another one in a different design. I did my drawings as usual using my bird book for reference. This is a barred owl which seems to me to be the owl shape that everyone thinks of when you say "owl". 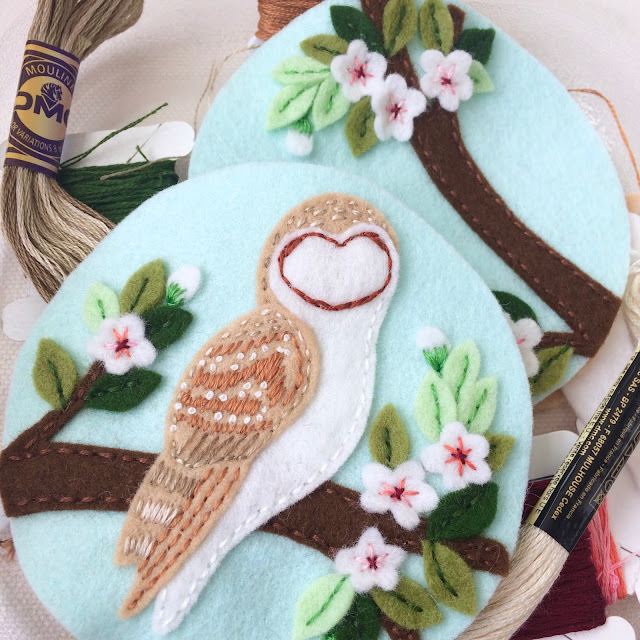 I cut out all the felt pieces and stitched the branch and then put it down and left it because it just didn't feel right. 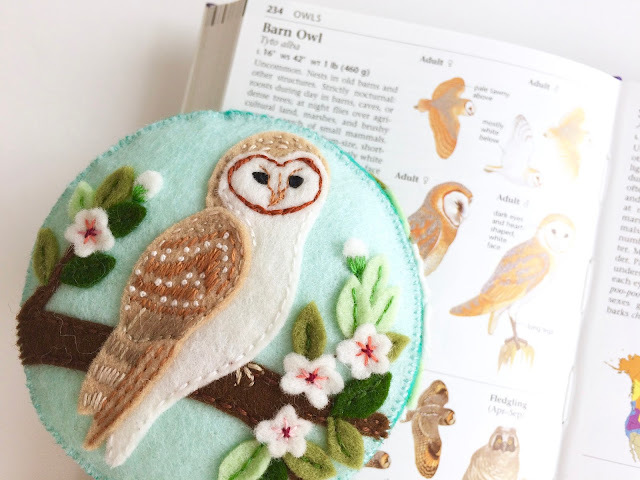 When I came back to it a few days later I realized that it was the owl that was bothering me and I went back to the bird book and found myself drawn to the barn owl. I see barn owls sometimes. I live in a town but there are hills, farmland and wild open spaces all around the town. I've even seen barn owls late at night flying across the road near a piece of open land in the middle of town. It is pretty startling to catch one in your headlights. My daughter works at a horse barn out in the countryside and in the Fall and Winter I see lots of owls when I drive to pick her up in the dark evenings. It always feels like a privilege, like they've allowed themselves to be seen. 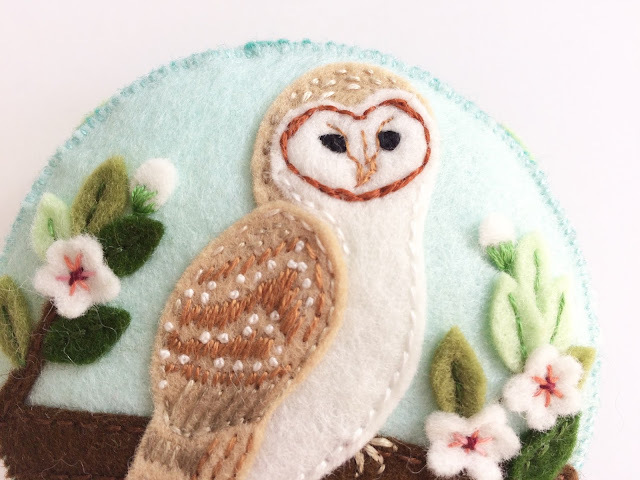 As soon as I made the decision to switch to a barn owl, the stitching came together smoothly. I've made a few of these now and they sell as soon as I list them. I need to make some more. Sometimes it would be nice to have just a few more hours in each day! 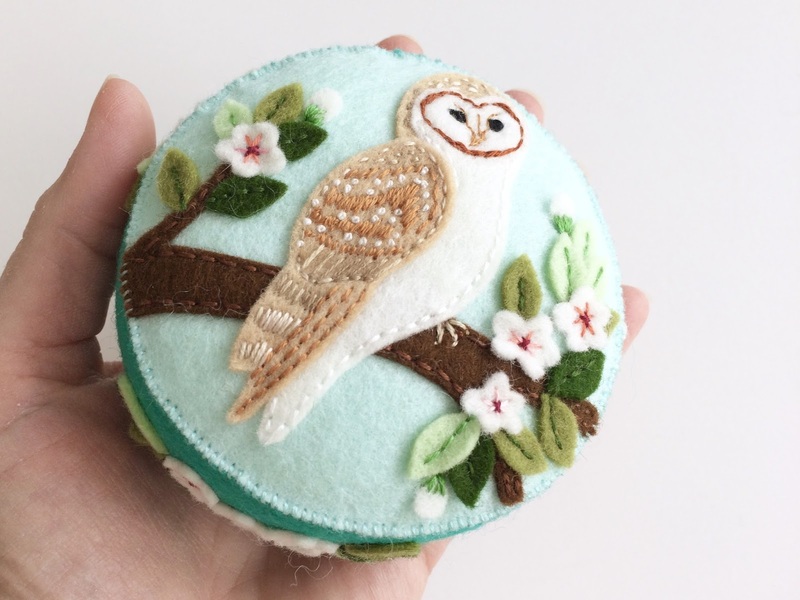 All your stitched items are lovely! Your drawings are wonderful and your color choices beautiful. I'm so happy to have found your blog. Hi Carol! Thank you for taking the time to comment. I love what I do and I'm glad my creations make you smile. I just love your detailed work! 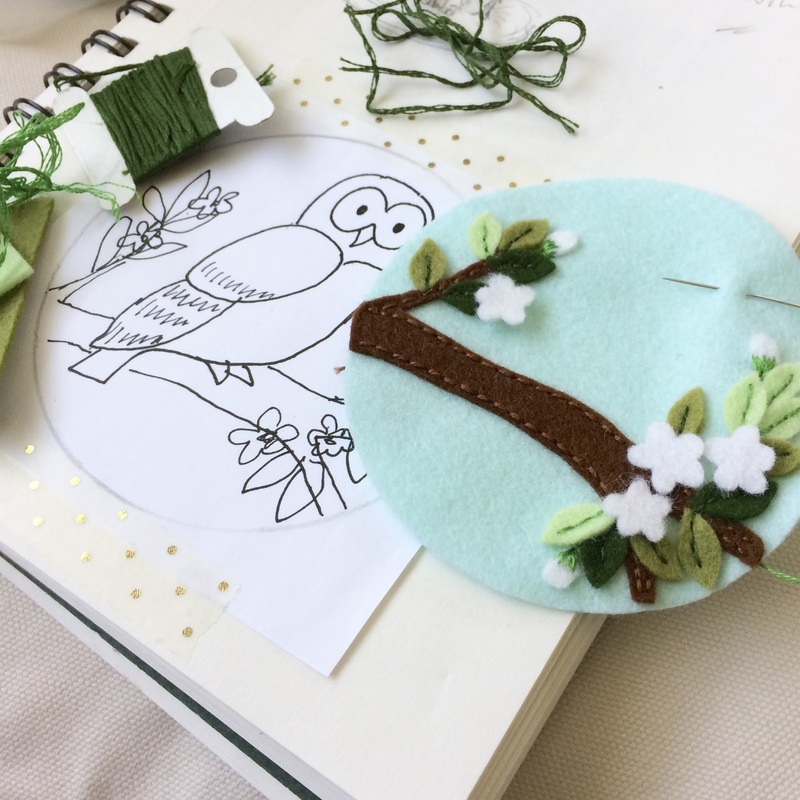 All your items that I have seen on your blog are truly quality projects!